out of curiosity how much difficulty with norwegian(bokmal) will i have after finishing this course? Me: hej! Dane: eääähhuhuh! Me: huh? I looked at your profile picture for a good 10 seconds before realizing that green Duo was wearing the scarf. Is it true that Norwegian is essentially Danish but with a Swedish-y accent? It's very Danish but with a Norwegian accent, I can read Danish just fine but don't understand a word of what they say. 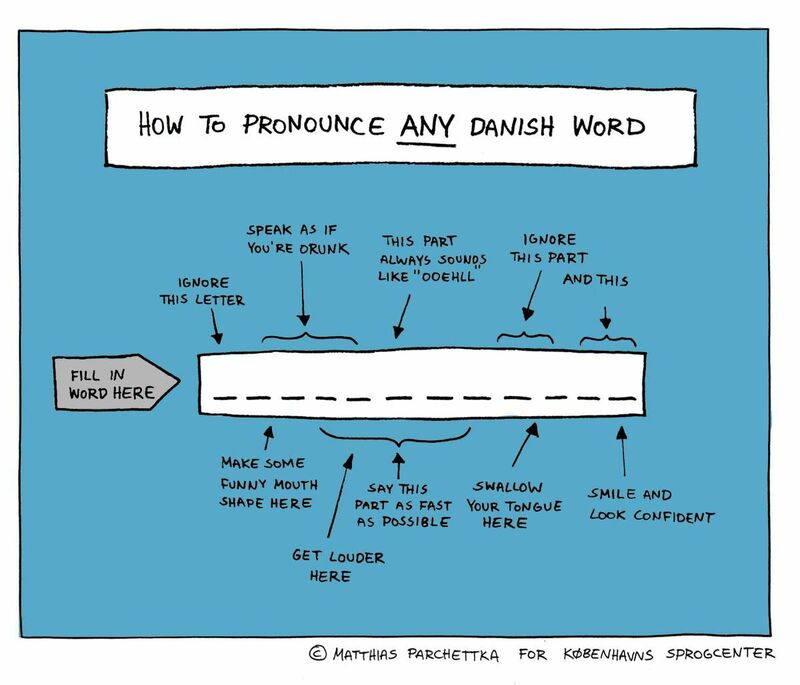 It's really hard to understand Danish phonology. I gave up. Ok lol I’m sending that to my Swedish BIL, he makes good-natured jokes about Danes all the time. I heard it was because of a historical shift to power politico-culturally of a working class faction in Copenhagen, who very much did not have crisp “received pronunciation”. I don’t know if that’s true though! I studied Norwegian previously. The spelling is quite different (though in semi-predictable ways) so reading and writing will be tricky until you learn to spell in Norwegian. Spelling aside, most (but not all) of the vocabulary and grammar are the same or closely related. The pronunciation is similar enough that you should be able to understand and be understood by Norwegians in simple conversations even if you only speak Swedish. I don't know Norwegian, but it is supposed to be very very similar to Danish, which I can understand bits and pieces of. I think that the grammars of Swedish, Norwegian, and Danish are very similar, so you should have little trouble there. A lot of the vocabulary words (but not all) are pretty similar as well. I've read that Swedish bears a closer resemblance to Norwegian than Norwegian does to Danish. I hear the Danish pronunciation is weird. Historically, Swedish and Danish form the East Nordic branch of the North Germanic languages. They are closer related to each other than to Norwegian. However, today, Swedes will often find spoken Danish very hard to understand. Written Danish is quite easy. There's Norway it will ever be. From my experience, I did Norsk(Bokmål) in Duolingo first, as it is like the in between language, and Swedish is extremely easy after! So for those learning Norwegian after Swedish, I would expect it to be easy as well :) just keep track of the differences. I started with Bokmål too as it was widely advised to be the best “in between” language (then my sister married a Swede so I jumped ship). Back to Bokmål after! I wrongly put in "Norse" (as in Norse language) instead of "Norwegian." Would "Norse" just apply to "Old Norse"? Yes. Norse or Old Norse is called fornnordiska in Swedish, by the way. I am hearing accent 1 on the word "norska", while "svenska" has accent 2. The video Understanding the Swedish Pitch Accent gives very helpful guidance on determining what accent a word might have. There are patterns to remember based on part of speech, number of syllables, and ending letter patterns, to infer which accent to use. Nouns, however, could have either accent. Even then, one might hope, because they are words both referring to languages, having two syllables ending in the same letter pattern of "ska", that "norska" and "svenska" would have the same accent. But apparently it will not be so easy. So, do all native speakers agree that "norska" should have accent 1? I think everyone agrees norska should have accent 2 (grave accent), just like svenska, can't think of any dialect that says it differently. (Maybe on Gotland??) I think the TTS says it sort of in between here, but I hear it closer to accent 2 as it should be, so it sounds OK to me although not great. It's nice to know that this is not so arbitrary after all. Tack! Actually, is there a reason to use the plural in "jag förstår norska" (instead of norsk) or "jag talar svenska" (instead of svensk)? Or does it imply "det norska språket" or something like that? The reason is simply that those are the names of the languages - norska, svenska, and so on. The sentence jag förstår norsk wouldn't be grammatical, since norsk is the adjective for something or somebody being Norwegian. I think he's asking about why they're called that though. In Norwegian and Danish they're just norsk, svensk, dansk, etc. Maybe there’s an implied definiteness to them in Swedish? I don't know which one it is out of Swedish, Danish, and Norwegian, but I have heard that Icelandic is the closest to Old Norse. On the subject of Scandinavian inter-intelligibility: "When you clear your throat and your danish friend agrees"
"Jag förstår mig inte på dig."